We all have some app that we must must need, and surely install after flashing the ROM, in my case I install around 20-25 apps after re-installing any new ROM on my phone, don't know yours, but I'm sure you must need it. OK if you wan to install all your android apps in a single click, you need just a single app to do all that "ES file Explorer". You can download it from here. I prefer version 1.6.x from here. And if you install custom ROMs, you phone is surely rooted and offcource you are smart enough to have backup of all your APKs. 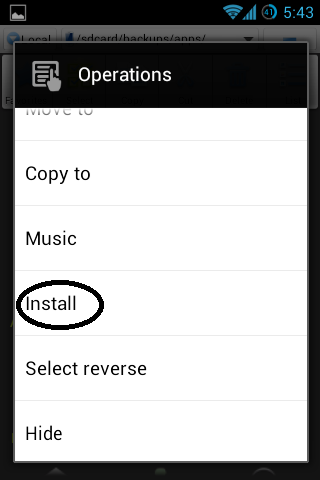 Install ES File Explorer, open its settings. Now open the folder in which all your apps are. Select all the apps you want to install. 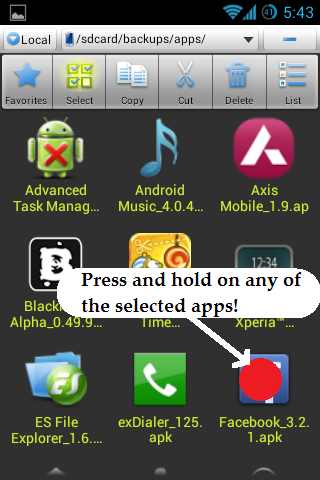 Press and old on any of selected apps and select install. Now sit back and wait. 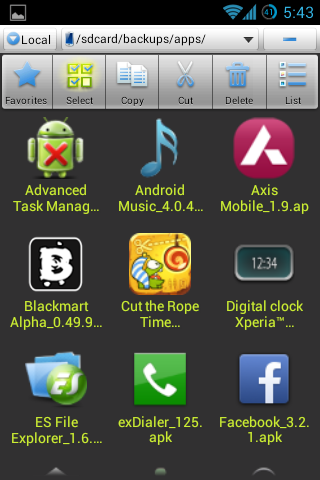 ES file explorer will automatically install all those selected apps without any further action requested to you. Note: Make sure that there is no any setup of ES file explorer in that folder, because if it is there, in the install procedure, ES File Explorer will install itself and android platform will terminate ES File Explorer to complete its re-install/update and the whole install sequence will stop.